The cost of homeownership in Camarillo, CA, is high. You can’t spend a lot of your income on home repairs. You still have to eat, right? 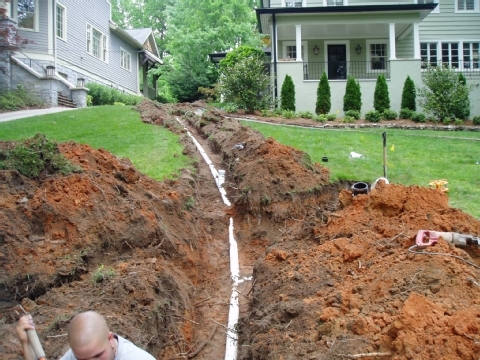 A sewer backup or a clogged sewer line can cost thousands of dollars to fix. If you need sewer line cleaning, at a reasonable fee, My Camarillo Plumber Hero serves local residents. Around-the-clock technicians are just a phone call away. A good way to prevent sewage backups and clogged drains is to be mindful of what goes into your drains. Using traps to catch hair and not pouring grease down drains keeps them from becoming plugged. You should never use harsh chemicals in your drains because it can damage your pipes, sewage lines and create expensive plumbing issues. Preventive plumbing methods like annual inspections can save you money in the long run. Pipes that are not properly taken care of can become jammed from hair, grease, and other substances. These pipes can also become corroded and break down. And, once the damage is done, that’s it. You’ll be out thousands of dollars to get your system working again. Many Camarillo residents use My Camarillo Plumber Hero for their plumbing and drain cleaning needs. Our emergency plumbing services are available during the day or evening hours. We have reasonable rates and a knowledgeable staff to ensure you will have your questions answered and the problem fixed quickly, and in the most cost-effective way. The best way to find out what’s wrong with your sewage system is to call a professional plumber. Our plumbers serve the Camarillo area and our plumbing specialists are equipped to handle any problem today. Have your line repaired by local experts. Need more information. Call My Camarillo Plumber Hero now!